Associated Builders and Contractors (ABC) of Arkansas announced that Dunk Fire & Security, Inc.’s work on the Bentonville Culinary Center & NWACC Culinary Arts has earned the company first place in the category of Electrical: Commercial Under $500,000 and their work on the Bentonville West High School earned them first place in the category of Other Specialty Construction: Over $1M in ABC’s Excellence in Construction awards. 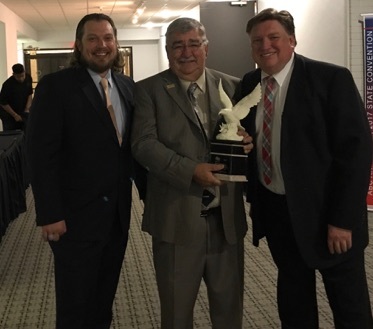 Dunk Fire & Security accepted the awards on April 22nd during the annual ‘Excellence in Construction’ celebration at the Chancellor Hotel in Fayetteville, AR. on April 22, 2017. 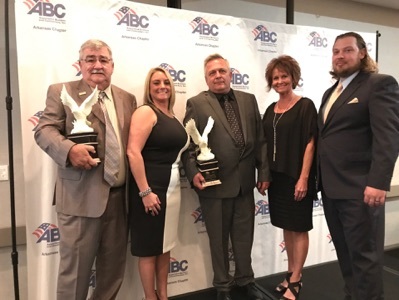 ABC Arkansas designed the Excellence in Construction program to recognize excellent performance in the merit shop construction field. The award honors all construction team members, including the contractor, owner, architect and engineer. This year's competition was open to all construction projects completed by ABC member firms during 2016. The winning projects were selected from entries submitted from across the state and were judged on complexity, attractiveness, unique challenges overcome, completion time, workmanship, innovation, safety and cost. The owners of these projects are Newmark Grubb Arkansas and Bentonville Public Schools. 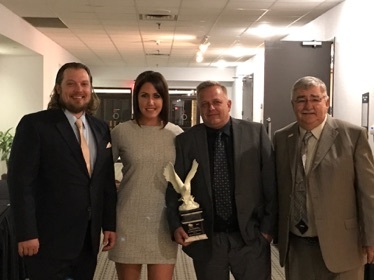 The architectural/engineering firms used were Hufft Projects and High Jackson Associates, PA.
A panel from the Construction Management Department of the University of Arkansas at Little Rock served as the competition’s judges.